Shane Shirley : Win an LG Connect 4G Smartphone Worth $149 and Get Connected To The Ones You Love in 2013! Win an LG Connect 4G Smartphone Worth $149 and Get Connected To The Ones You Love in 2013! Enter to Win an LG Connect 4G Smartphone and Make a Resolution to Get Connected to the One's You Love This Year! In 2013 when it comes to electronics, green is the new black. 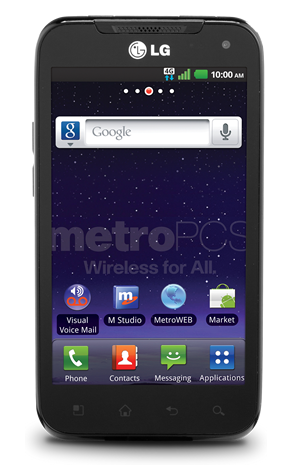 This month make a New Year's Resolution to get connected to the ones you love with an eco-friendly LG Connect 4G LITE Android Metro PCS Titanium Gray Smartphone Valued at $149. To enter to win, leave a comment below telling us who your favorite person to talk to on the phone is and why. Then use the Rafflecopter entry form below to unlock even more chances to win!